Select Insert > Page Number, and then choose the location and style you want. 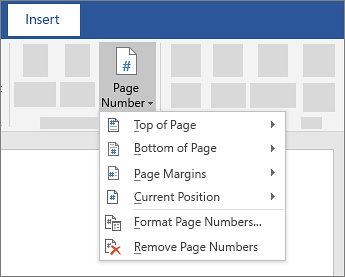 If you don't want a page number to appear on the first page, select Different First Page. 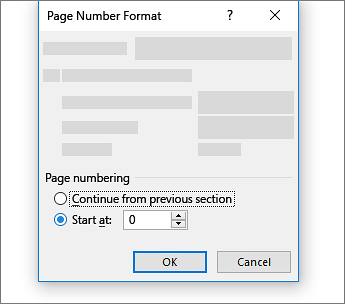 If you want numbering to start with 1 on the second page, go to Page Number > Format Page Numbers, and set Start at to 0. When you're done, select Close Header and Footer. Tip: To get back to a header or footer to make changes, double-click in the header or footer area.